You can merge existing lists into new lists in WordFly. Select Add from existing list to merge subscribers. When you add an existing list to another list in WordFly all subscribers who are currently in the existing list are merged into the list while the existing list stays the same. You'll see the number of subscribers added in the List History as well as the number of duplicates. WordFly will remove all subscribers with import issues before the list is combined. If you want to include any of these subscribers, you'll want to override them in the existing list before you merge the list. If you're looking to take two existing lists and combine them into a new third list without changing the two existing lists, you can do that, too. It requires a little trick: an empty list. We'll review a few ways you can use this option. 1. Go to the Subscribers step of your In Progress campaign. You should already have a list assigned to your email campaign. If not, assign a list before proceeding to the next step. 2. 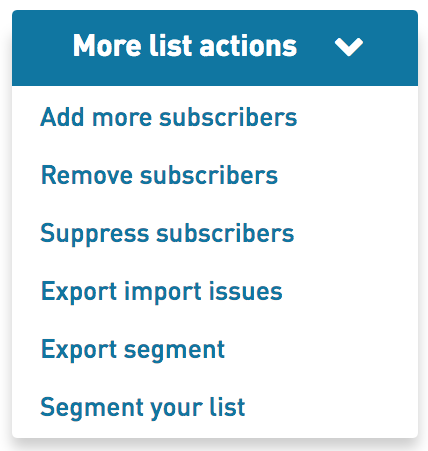 In the More List Actions menu, select Add More Subscribers. 3. Select the Add from Existing List option. 4. Select the list you would like to add. 5. Confirm you would like to merge subscribers by clicking 'yes'. We ask you to confirm because this step cannot be undone. 6. Your added list will be merged into the first list! 1. Go to the Subscribers > Lists. 2. 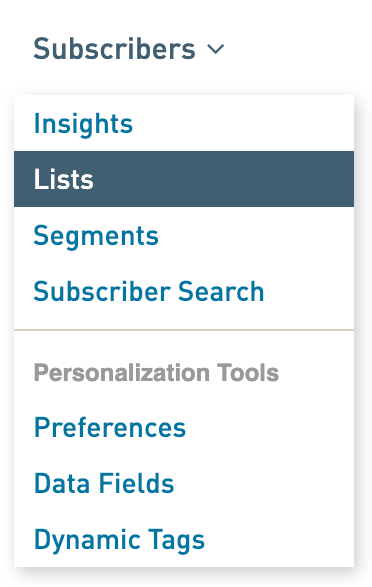 Click on your list name and select Add Subscribers. This can be done inside and outside a Campaign just like we explained in the last two section instructions. In your Campaign just select the Subscriber tab and then continue with these instructions. Outside of a Campaign just select Create a new list and then continue with these instructions. 1. Select the Add Manually option. 2. Click Start Importing without any addresses added in the open field. 3. 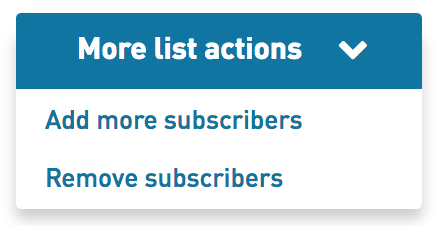 In the More List Actions menu, select Add More Subscribers. 7. Your first list will be merged into the list you just created! 8. Repeat steps 3-5 to add another list! Keep doing this to continue adding more lists. Sometimes lists are merged into lists by mistake. 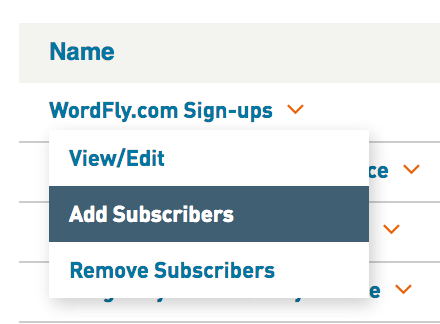 You can easily remove any subscribers you added by using WordFly's remove subscribers option. Learn how to remove subscribers.